"So, so crazy good! I'm speechless! Don't mind that I cut out my tongue." In October 2014, Maniac Pumpkin Carvers teamed up with the fine folks at The Cotton Candy Machine, a popular contemporary arts gallery located in Brooklyn NY, to create an unprecedented art show and subsequent hands-on workshop. Maniac exhibited 15 groundbreaking new works of pumpkin art. Each pumpkin was a glowing tribute to different artists who exhibit at the gallery. It was an amazing ensemble of artists whose work we love. It took the Maniac artists anywhere from six to fifteen hours per pumpkin. The artists paid close attention to details, value, shading, and depth, as they attempted to create their faithful tributes to the original artist's work. 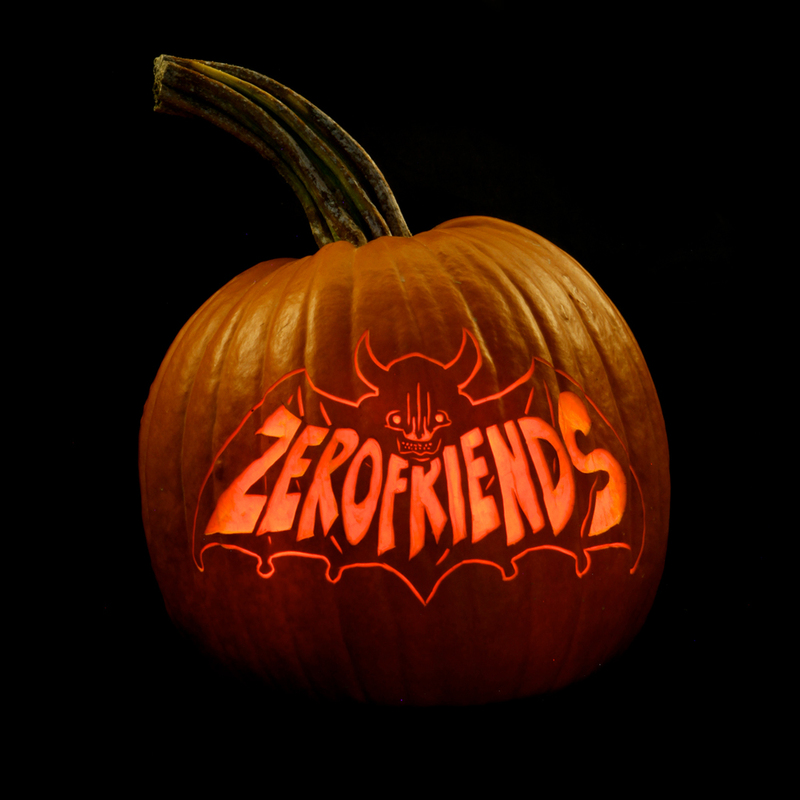 Featured pumpkins were inspired by Tara McPherson, Camilla d'Errico, Alex Pardee, Buff Monster, Dima Drujchin, Mark Ryden, Jeff Soto, Elizabeth Winnel, Zerofriends, Dave Correia, Bonethrower, and Miss Van. On sunday guests returned for the accompanying workshop, in which the Maniacs taught a group of quick learners, the art of pumpkin carving. The class contained several special guest artists, including Tara McPherson, Dima Drujchin, Theresa Christensen and Lori Nelson. The opening night was a well received blast with a fantastic reception at the gallery. CCM owner, Sean Leonard, was psyched to do his first ever gallery opening with the lights out. People were completely captivated by the glowing art. With the pumpkins carefully displayed on pedestals, it wasn't hard for people to see why pumpkin is becoming such an exciting new medium. It was surreal to witness that many Maniac Pumpkins lit simultaneously in one room. Photographs do not do justice to the level of details or the holographic effects that are achieved when light passes through the pumpkin. We teamed with GoPro to create a video, documenting the creation of one of the Tara McPherson pumpkins for the show.